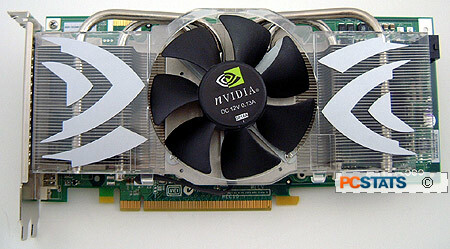 A single GeForce 7800GTX is one fast videocard. Add 256MB of memory and some insane clock speeds and well... there's an even faster videocard to be had, right? That's the premise behind the latest class of videocards to hit the market, and its coming from both the nvidia and ATI front. The GeForce 7800GTX 512MB versions are here, and you'd better believe that 35 FPS from a single videocard in FEAR with 4x AA and 16x AF enabled, at 1600x1200, is a breeze with one of these bad boys! All this performance packed into a videocard that takes up an extra PCI slot, but is also quieter than the original GeForce 7800GTX's. Shocking performance capabilities, and shockingly quiet at that. A bleeding edge part like this has an equally shocking enthusiast-level price tag of about $877 CDN ($749 US) - equivalent to the cost of a pretty decent Dell PC. At the moment there are only a handful of manufacturers offering retail 512MB version Geforce 7800GTX videocards for sale. MSI Computer is once such vendor with a 512MB version Geforce 7800GTX videocard out in time for X-mas, and it has put together a good package that includes a full copy of the game "Colin Mcrae Rally 2005." Luckily for you, PCSTATS has managed to bring this monster 512MB card into the labs so you can see first hand what to expect! The MSI NX7800GTX-VT2D512E videocard utilizes the nitro boosted GeForce 7800GTX core, and it is backed with 512MB of lightning fast Samsung BGA GDDR3 memory. Natively running through the PCI Express x16 bus, the 512MB version MSI NX7800GTX-VT2D512E sports dual DVI connectors, as well as an array of TV output options, including component outputs. As you can see, the MSI NX7800GTX-VT2D512E is based on the nVidia reference PCB design right down to a tee. The stock GeForce 7800GTX 512MB videocard heatsink is particularly impressive; it has four heatpipes and an ultra-quiet 85mm diameter variable speed fan. The cooling solution works very well, and utilizes that second PCI slot worth of space to exhaust some of the hot air it generates, outside of the case. 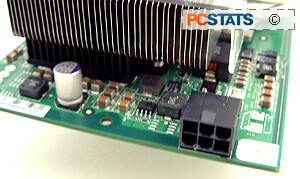 The fan hides most of the MSI NX7800GTX-VT2D512E's features. Below the bottom left hand corner of the large heatsink is a smaller heatsink which cools the videocard's power supply. On the top right hand corner, one will find the six pin 12V power connector. 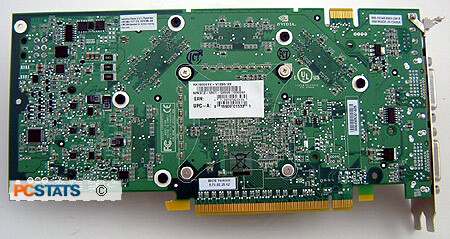 Like all recent nVIDIA videocards, the 512MB version MSI NX7800GTX-VT2D512E is SLI compatible, the bridge connector is located on the top left hand corner of the PCB. The MSI NX7800GTX-VT2D512E that arrived in PCSTATS labs did not come with a user's manual, however the quick installation guide is pretty detailed. Consumers contemplating the MSI GeForce 7800GTX for their computers should not have much problem installing a new videocard. One area MSI has always excelled in is with its software packages. The one that accompanies the NX7800GTX-VT2D512E is certainly pretty nice and includes a full version of Colin Mcrae Rally 2005. The Colin Mcrae Rally series games are wildly popular with car simulator fans and when teamed up with the MSI NX7800GTX-VT2D512E will produce some stunning images. MSI also includes a full version of Norton Internet Security 2005 with the MSI NX7800GTX-VT2D512E videocard which is an interesting software choice. The heatpipe cooler is probably the most impressive feature of the MSI NX7800GTX-VT2D512E videocard. The G70 core comes in contact with a copper heatspreader which is directly connected to the four heatpipes. The heatsink's aluminum base comes in contact with the 512MB of GDDR3 memory too. The heat from the core is transferred by the heatpipes out towards the stacked aluminum finned radiators. The airflow for all of this cooling is generated by the large 85mm diameter temperature controlled fan. Noise levels are really low. According to RivaTuner's temperature monitor, the MSI NX7800GTX-VT2D512E idles at ~34°C Celsius while load temps topped out at only 48°C degrees! Don't miss the expert tips on temperature monitoring as we move forward and examine the difference between the 256MB and 512MB versions of the Geforce 7800GTX!